Public outcry over an Indonesian domestic worker’s alleged abuse by her Malaysian employer has prompted the Indonesian government to demand better protection for its citizens working in the neighbouring country. With red blisters and scabs on her face and upper body, Siti Hajar fled her employer's house and sought shelter at the Indonesian embassy in the Malaysian capital, Kuala Lumpur, in June. Hajar told the media her female employer had hit her and poured boiling water over her and repeatedly beaten her with a cane over a 34-month period. Her ex-employer has since been charged and could face 20 years in prison. Her story of abuse is one of several involving Indonesians in Malaysia that have made headlines in recent years. 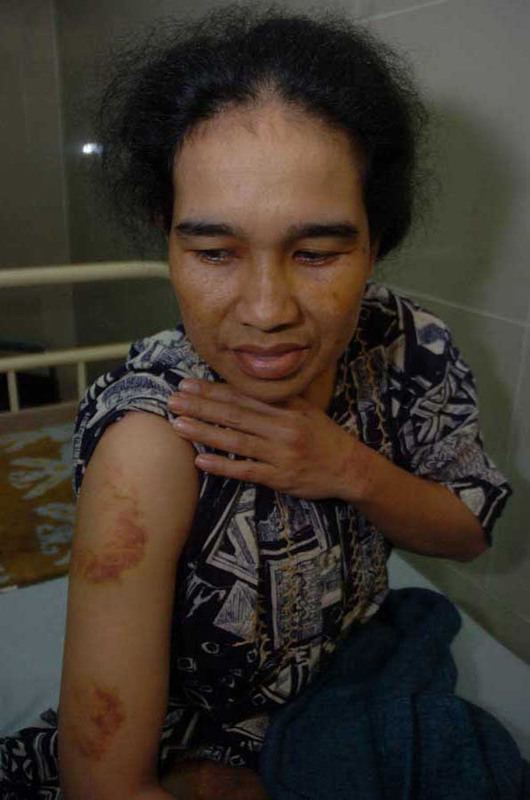 Last year, in a high-profile case that began in 2004, a Malaysian court sentenced a housewife to 18 years in prison for three attacks on her Indonesian domestic worker, Nirmala Bonat, using an iron and boiling water. After Hajar’s story made the headlines in June, Indonesia's Ministry of Manpower and Transmigration temporarily suspended sending domestic workers to Malaysia until the two countries could agree measures to protect them. Indonesian and Malaysian officials have since met to discuss a revision of a 2006 Memorandum of Understanding (MoU) on domestic workers. The MoU has been criticized by human rights advocates for not being strong enough to protect workers from abuse, including having to work gruelling hours for low salaries. The Indonesian government wants a new agreement that entitles domestic workers to basic rights such as days off and periodic salary increases, and allows them to retain their passports. Under the current MoU, employers have the right to hold employees’ passports while the workers are given identity cards issued by Malaysian authorities. Indonesia’s Foreign Minister Hassan Wirajuda said Malaysia had agreed in principle to meet the demands. "There is progress but we will need to put it in a written document." About two million Indonesians work in Malaysia, many as domestic helpers and plantation labourers. Indonesian migrant workers sent home US$8.2 billion in 2008, according to the National Agency for the Placement and Protection of Indonesian Workers, making remittances one of the country’s top foreign-exchange earners. Rights activists pointed out that part of the problem was that Indonesian migrant workers were not adequately protected in their own country and blamed poor regulation. "Malaysia is not 100 percent to blame in this case," said Anis Hidayah, executive director of Migrant Care, which lobbies for Indonesian workers’ rights overseas. "There should be changes in both countries' labour laws." In a report this year, Human Rights Watch (HRW) urged the Indonesian government to establish the standards at home that it demands from others. “Those considered formal workers in Indonesia are entitled to a minimum wage, overtime pay, an eight-hour workday and 40-hour work week, a weekly day of rest, and vacation. Domestic workers are not,” according to HRW. Albert Bonasahat, coordinator for migrant worker protection at the International Labour Organization in Jakarta, said Indonesia would be better placed to bargain in negotiations with Malaysia if it passed its own legislation to protect domestic workers at home. "We should treat our workers at home the way we want them treated overseas." Hidayah said her group had received thousands of complaints from domestic workers in Malaysia and that most cases of abuse went unreported. "Even for cases reported by the media, the majority of them didn't reach clear legal resolution and in some cases they stopped at the investigation stage," she said.